Iris will ship in July and August. Plant items are not shipped to the following states: California, Oregon and Arizona. Use the View Cart button to change quantities and check out. 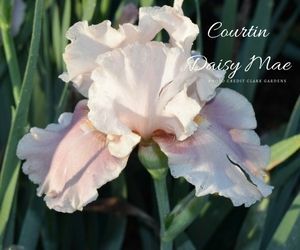 Shipping is charged per each type of plant ordered (iris, daylily, and canna) because each is shipped at a different time of year. See our new seasonal hours. Sign-up to receive free emails about our happenings and upcoming events. Clark Gardens is a non-profit organization. Donations are tax deductible. Thank you for your support. Copyright ©2009-2019 Clark Gardens - Max and Billie Clark Foundation. All rights reserved. Max and Billie Clark Foundation / Clark Gardens is a 501(c)3 organization.